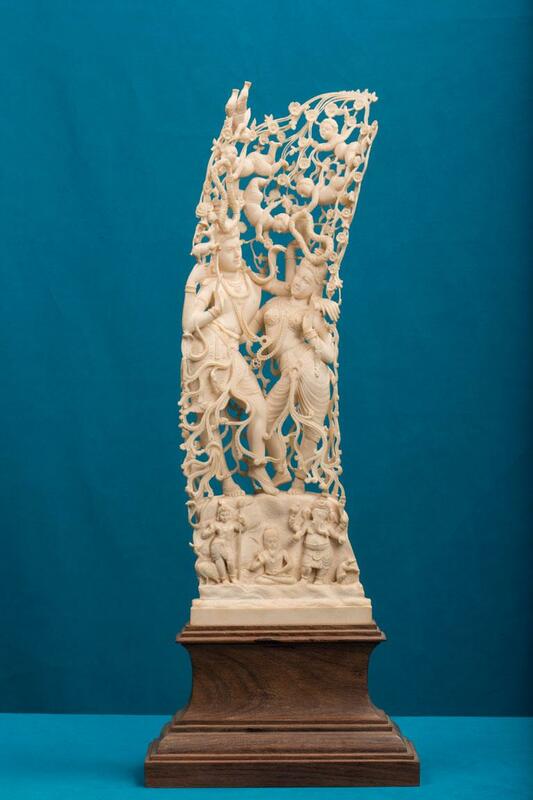 Lord Shiva and Goddess Parvathy together form the Shivaparvathy sculptures. Here Goddess Parvathy is standing near Lord Shiva and Shiva is in alingana pose. The two are beautifully adorned. In the lower part we can see figures of Lord Subramanya and Lord Ganesha. Peacock, the mount of lord Subramanya stands near him and Mouse, the mount of Lord Ganesha stands beside Ganesha. A sage is visible in the centre.